Henry Kissinger (au). The third & final volume of the memoirs of former Sec. of State Henry Kissinger. 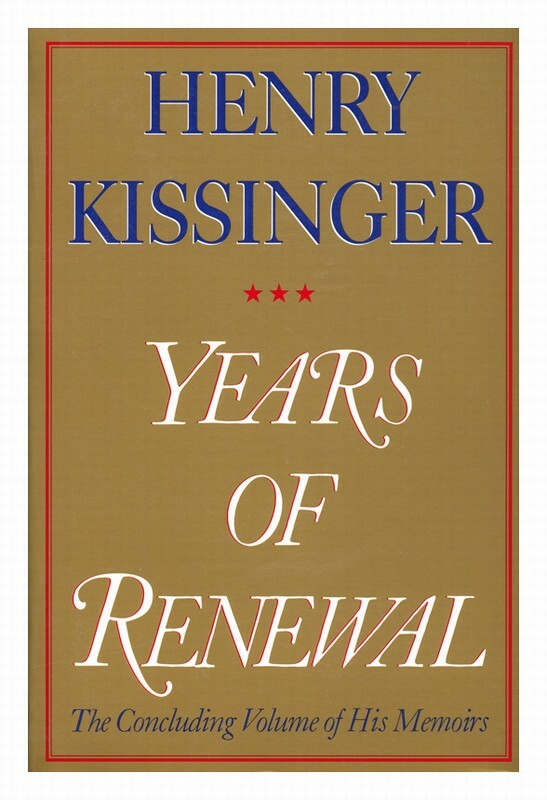 Begins with the resignation of Nixon -- including Kissinger’s assessment of Nixon’s tortured personality & the self-inflicted tragedy that ended his presidency & made Kissinger, for a time, the most powerful man in American government. 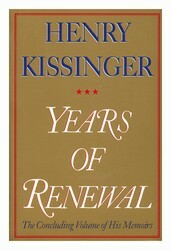 Then takes the reader through the years of Ford’s administration, in which Kissinger continued to play a decisive role. Details the agony of the final U.S. extrication from Vietnam & takes us inside the White House to show our leaders in a time of crisis. He recounts the many major decisions & crises that he had to deal with. He provides intimate & candid portraits of world leaders, from Mao Zedong to Leonid Brezhnev.